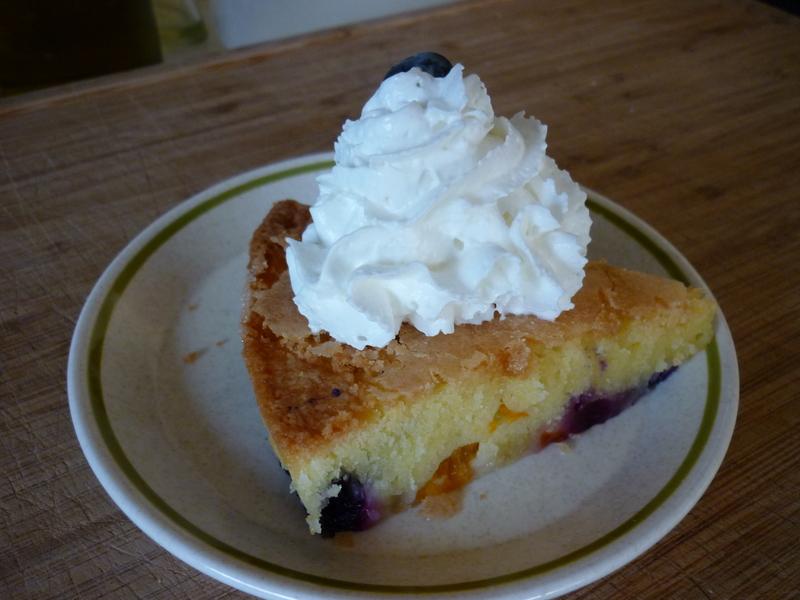 You are currently browsing the tag archive for the ‘apricot cake’ tag. Apricots and Blueberries are two of my favorite fruits. The apricots are expensive here, but you only need three of them so it’s doable. I splurge. This dense cake is quick to assemble. If you have the ingredients you can throw together a very nice little dessert for your guests. This is a recipe by Kelsey Banfield, thenaptimechef found online at Momtastic Food. Butter and flour 9-inch cake pan if it is non-stick. If it is not non-stick, line the bottom of the pan with parchment paper. 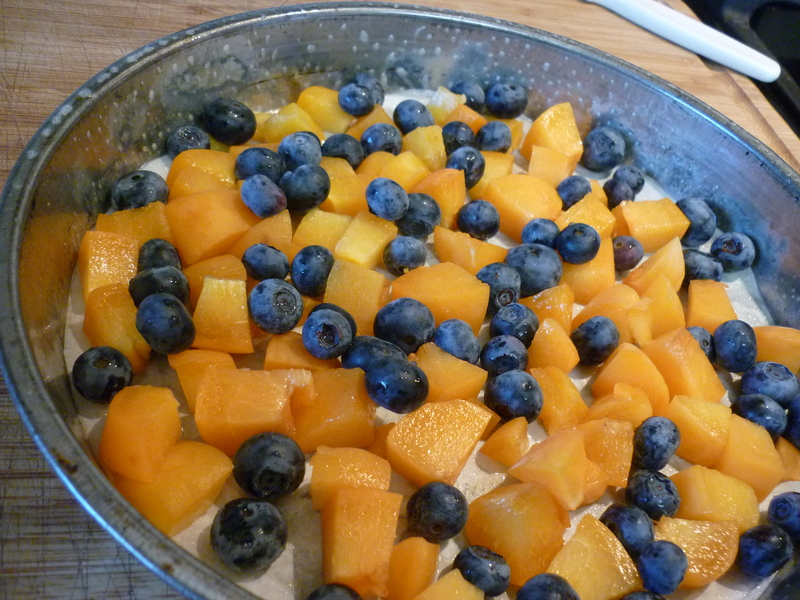 Scatter 3/4 cup diced apricots and 1/2 cup blueberries evenly on the bottom of the pan and set aside. Mix 1 cup sugar, 1 cup flour, 1-1/2 sticks butter (yes, 3/4# — melted & cooled), 2 eggs, and 1 tsp. almond extract in a large bowl until fully combined. 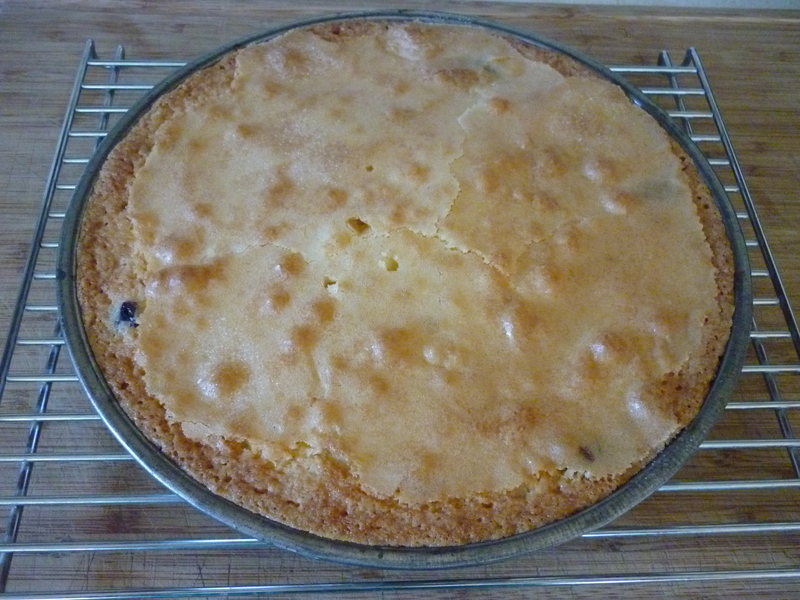 Pour batter over fruit in the cake pan and sprinkle top with sugar. 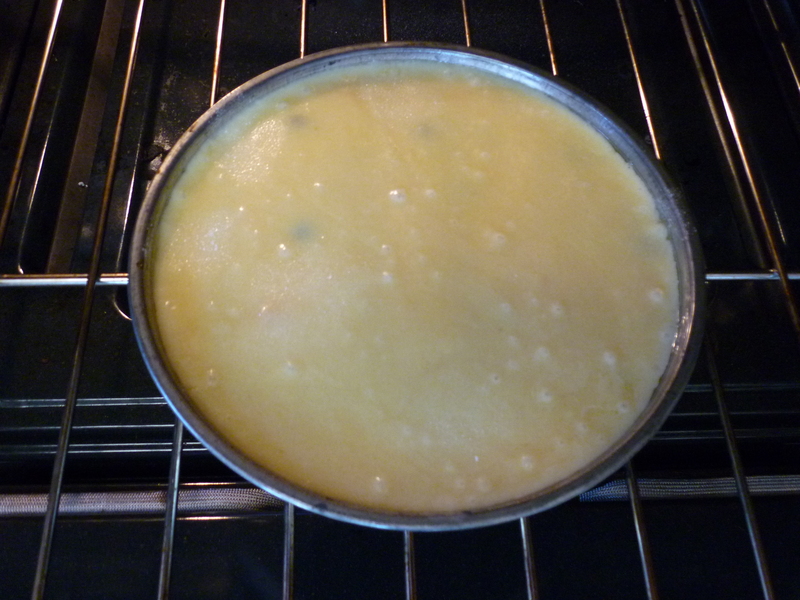 Bake in a preheated 350 degree oven for 40-45 minutes or until cake tester comes out clean. It will be quite brown from the sugar you sprinkled on top, but that is best in order that the fruity bottom is baked through. Voila, done! 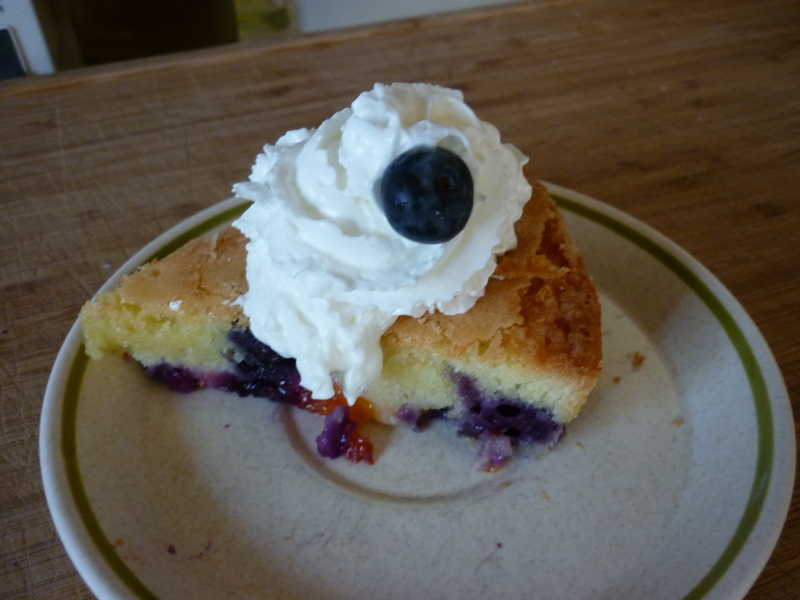 Add a dab of whipped cream and garnish with a blueberry.